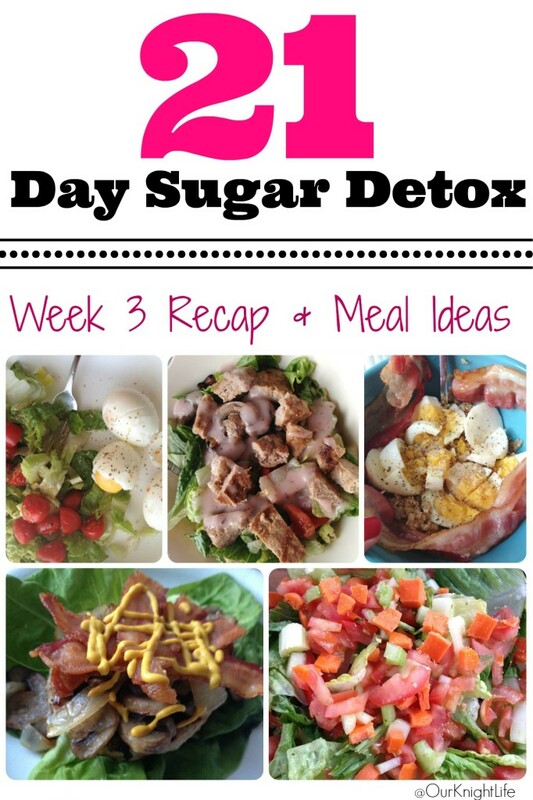 If there was ever a super easy week on the 21 Day Sugar Detox it would be week 3. I was feeling great, in the groove, and already thinking about doing another detox! If you don’t know what the 21 Day Sugar Detox is or you would like more information check out Diane Sanfilippo’s book out. 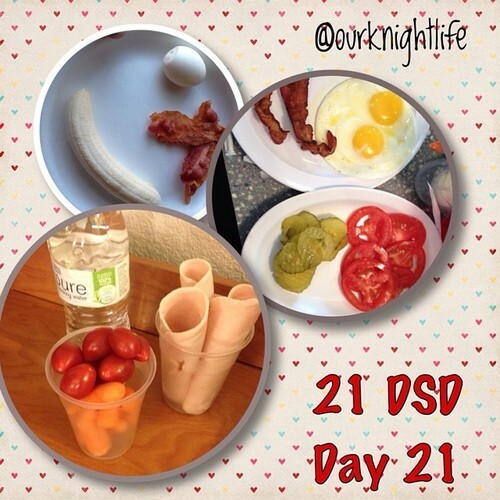 It’s called The 21 Day Sugar Detox. 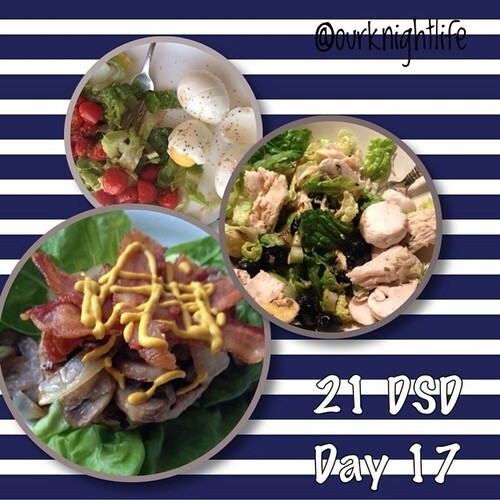 The goal is to spend 21 days as close to sugar free as possible. There is also a great Facebook Page that has lots of tips, tricks, and AMAZING support! 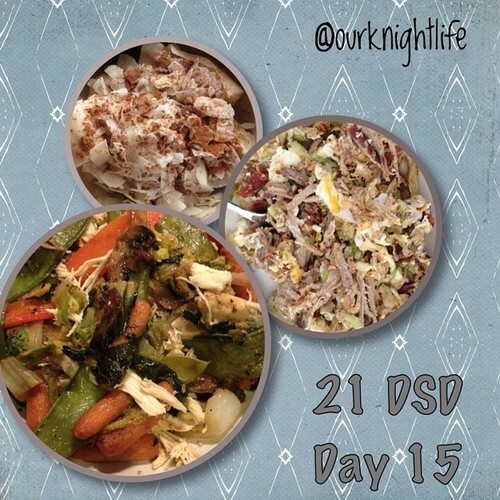 Additionally, you may want to catch up with my Week 1 and Week 2 21 Day Sugar Detox recaps. Bonus: They all have 21 meal ideas as well! I’m in a breakfast rut! Lunch: Leftover Kahlua pork and cabbage with 2 scrambled eggs. My hubs has been out of town for a while and I’m basically just eating what’s quick and easy at this point. Most days I’m not getting dinner until the kids are sleeping. #momlyfe However, I’m not fighting awful cravings anymore. It’s awesome to not feel like I’m going to crawl out of my skin if I don’t snack at night. Breakfast: Coconut milk, banana, 1/2 avocado, cinnamon smoothie. Lunch: Garlic/Artichoke sausage, onions, & peppers with @flavorgod garlic lovers and 1/2 avocado, tomato salad. Dinner: leftover chicken and veggies. I accidentally left my sauce from the night before out all night and I’m out of coconut aminos! Added cauliflower rice. Feeling GREAT! I’m not starving between meals, on busy days I’m not breaking down and stuffing my face if I go too long between meals. Breakfast: 3 hard boiled eggs, lettuce, tomatoes, celery, cucumber, olive oil/vinegar dressing. Lunch: I had to use up the salad before it turned… Lettuce, cucumber, celery, mushrooms, olives, chicken, ACV/mustard dressing. Dinner: Turkey burger, bacon, onion, mushrooms, butter lettuce, mustard. Wasn’t hungry at breakfast… Drank water with lemon and ACV. Brunch: 2 hard boiled eggs, mushrooms, bacon. Dinner: Was supposed to be meat sauce with zoodles, but my zucchini was rotten. So… Meat sauce with mushrooms and onions over broccoli. It got the job done. I can’t believe I’ve only got 2 days left!! Breakfast: Recycled my picture from the other day. Coconut milk, almond butter, 1/2 avocado, banana, cinnamon. Lunch: We went to a water park with the family. They didn’t have chicken for my salad… I ordered a burger instead. They said it was all ground beef… I’m not sure, but I tried my best. Salad with burger, carrots, tomatoes, celery, and mustard. Dinner: I may be a little obsessed with #hotdogisthebun … Garlic artichoke sausage, with onions and mustard. Served with cucumber tomato salad! Breakfast: Cauliflower rice, onion, hard boiled egg, bacon. Lunch: Lettuce, red pepper, tomato, cucumber, mushrooms, onions, and turkey burger w/ red wine vinegar. Dinner: Chipotle salad with pork. Can I get a woot woot?!! Note to self… Don’t schedule day 21 during a road trip. Lunch: We were in the car all day so we stopped at a diner for lunch. Not sure if my bacon was sugar free, but I did my best. Eggs, bacon, tomatoes. (Pickles were for my son). Normally I wouldn’t double up bacon/eggs, but it seemed the only feasible choice on the menu. Dinner: Left the olives/nuts in the car. Oops! Turkey, carrots, tomatoes. Except the turkey smelled weird. It was also really late when we got to the hotel so I just went with the veggies. As I said earlier, this was BY FAR the easiest week. 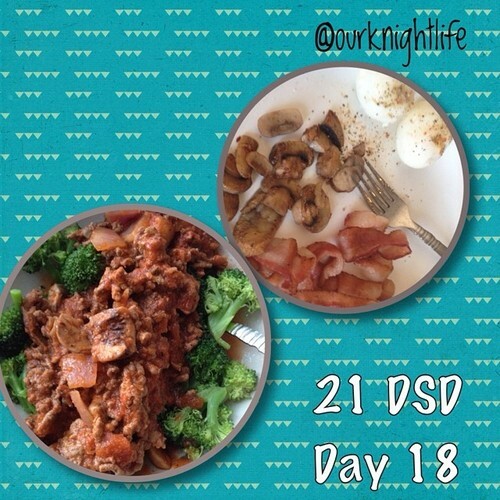 I may have gotten stuck in a few repetitive meals, but overall I felt amazing and super focused. 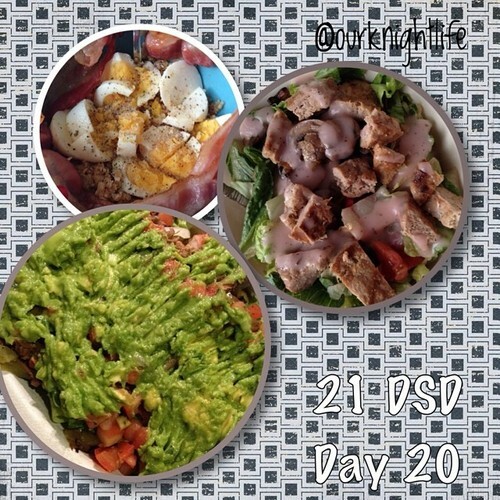 I wish I would have planned the last day of my detox better – I certainly wouldn’t want to do it for a road trip again unless I had to, and if I did I’d pack more food choices. I have to admit – I can’t wait to be eating watermelon and cherries again, but I’m hoping to stick to this way of living for my daily meals. 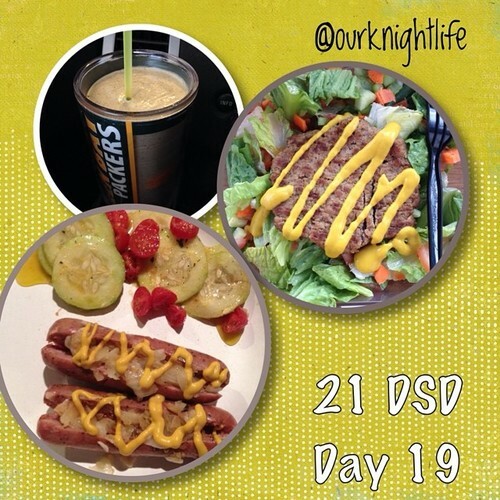 I am a very emotional eater, and this really helped keep my night cravings in check. I didn’t feel like I was going to crawl out of my skin at night. That alone was amazing. I will likely do this again in August. I think it will be a great way to start the school year. 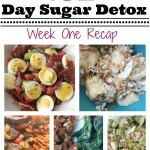 Are you interested in learning more about the 21 Day Sugar Detox? 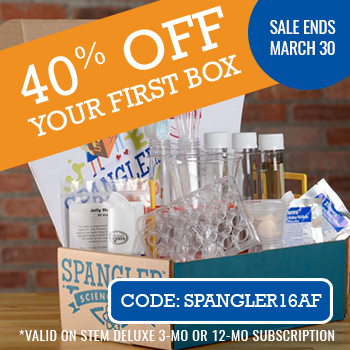 Click HERE to learn more and get started! These are affiliate links as are some of the links above. I don’t recommend what I don’t personally use. If you do buy via these links I get a very small percentage back. Yes! It’s insane how much sugar plays a role in how we feel and what we do daily! I need to do another again too! Good for you for sticking to this challenge! 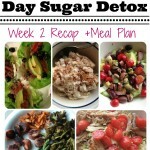 I have cut back significantly on my sugar but I’m not sure I could eliminate it completely! You’d be surprised what you can do!! Plus you do get a banana or apple each day so there is still a small amount of sugar. Do it! You won’t regret it! I promise! 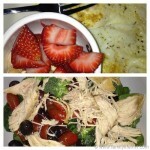 My husband and I have really been revamping how our family eats. We have scaled way back on grains, incorporated more healthy proteins and fats, and are trying to get the kids eating more veggies. My biggest difficulty is eating enough to fill me up for very long. I get sooo hungry and cannot afford to lose weight. I’m really loving all the meals you showcased this week. I’m adding some of them to my list of things I can make! I sooooo need to give this a try! This looks like a very interesting and healthy thing you’re doing here. I’m a sweets addict for sure and no matter what I do, I get that urge for something sweet after every meal. Drives me crazy. I would be so hungry looking at some of your days! 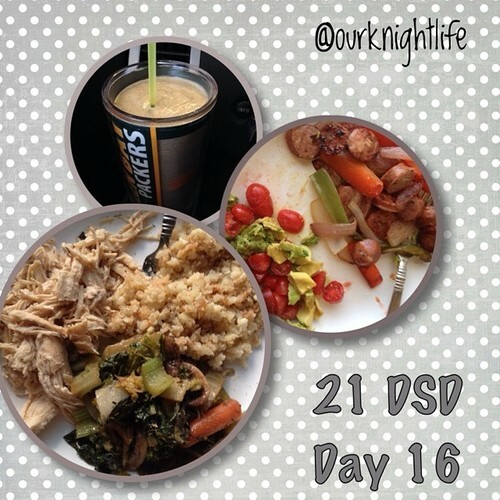 Day 21 in particular can’t possibly be more than 1000 calories. BUT I guess if you weren’t feeling hungry that’s all that matters! Your meals look wonderful! Good for you, what an inspiration! 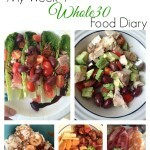 How much weight did you lose in the 3 weeks total?